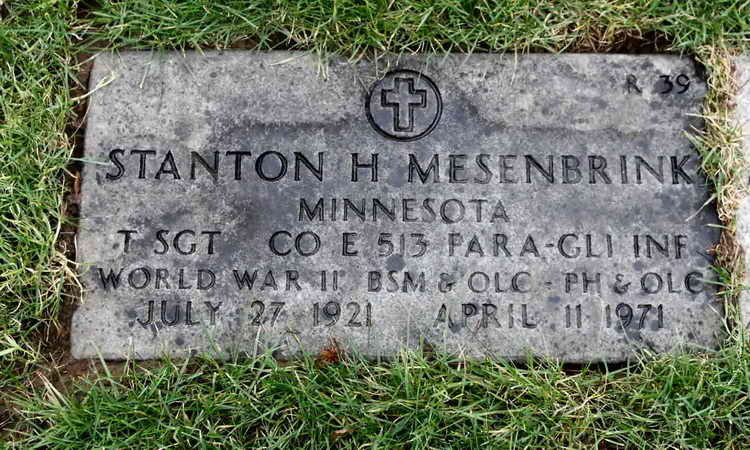 Grave marker for Stanley H. Mesenbrink in Section R Site 39 of the Willamette National Cemetery, Happy Valley (Clackamas County), Oregon. Although the marker indicates that Stanton served with the 513th Parachute Glider Infantry, he was with Company E of the 508th during WW-II. He was awarded the Bronze Star Medal with Oak Leaf Cluster as well as the Purple Heart during that period. The second award of the Purple Heart is not yet documented but may have also occurred during that time since the marker has no indication of subsequent service in other combat periods. 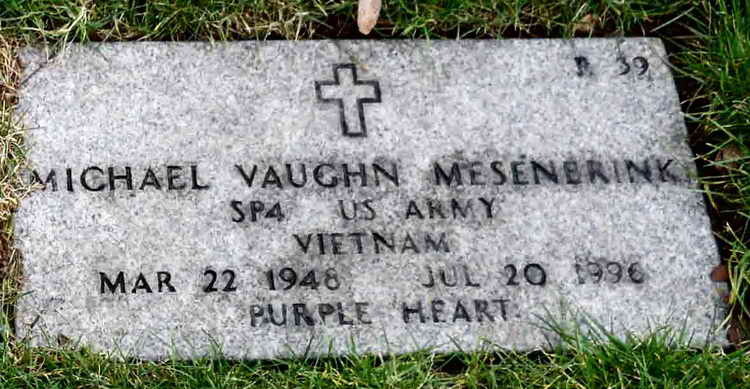 Grave marker for Michael Vaughn Mesenbrink is positioned inches to the right of Stanton's. Michael, also an Army veteran and holder of the Purple Heart, was probably Stanton's son.